Dekker was a solid character, and I was pulling for him throughout the novel. Slade was a bit too wishy-washy for my tastes, but I did like him as a character. Together, there was a nice combination of push-pull romance, scorching hot chemistry, and palpable tension. So if you're reading my review prior to purchase, don't sweat the side characters' stories – you're not missing anything, even if you feel there must be another book somewhere. Recommended for fans of MM romance, particularly lusty novellas, and for those who are free-time-challenged but still want to carve out a bit of 'me' time and relax. Kay lives in Colorado with her husband and their animal children. Family is important to her so there are weekly visits to her parents and frequent text messages with her brothers. She has a severe addiction to coffee and Mexican food. She loves to read and write and can easily become consumed by it for hours, much to the dismay of the husband and dogs. On occasion she can be convinced to venture out into world of the living. 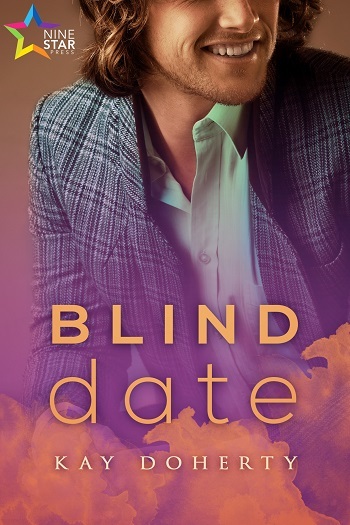 Reviewers on the Wicked Reads Review Team were provided a free copy of Blind Date (Back in the Game #1) by Kay Doherty to read and review.